We recently upgraded our phone system, and while the network was being updated, I was temporarily connecting my laptop to our guest network so I could access the Internet without interruption. After the updates were completed, I switched back to our office network and all was well. The next day I arrived at the office and everything was working fine until I discovered I couldn't print. At first I though some printer settings had changed when phones were added to the network, but it turned out that I had the same problem we get so many customers calls for... I was connected to the wrong wireless network! 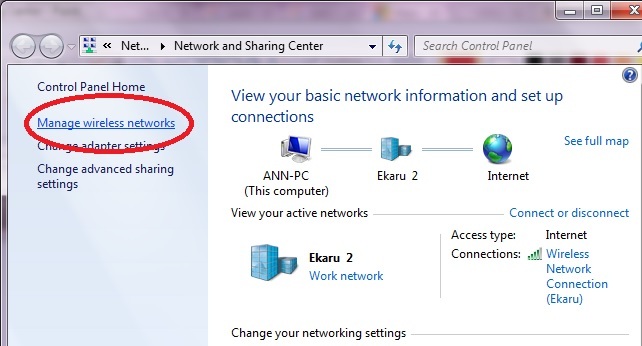 My laptop automatically connected to the guest network when I arrived in the morning and I didn't notice. Being busy, I switched it back. Next morning the same the same thing happened, and I realized I had to update the network priority. We're so busy taking care of clients, sometimes we forget to take care of ourselves! 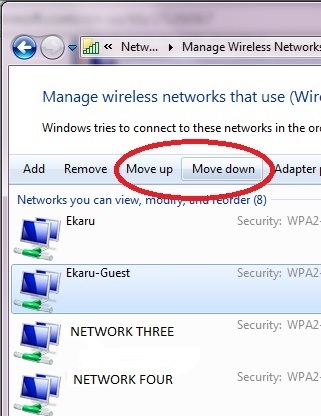 Click on the network to be given priority then select "Move Up". Note that in the example, the target network has been moved to the top position. The Move Up / Move Down buttons are highlighted to illustrate how changes can be made. After setting the proper priority, I will always connect to the right network even when I'm in range for an equally strong signal from our guest network. Our team here at Ekaru sat down in the conference room a few weeks back to attend a web-based training event from one our technology partners. 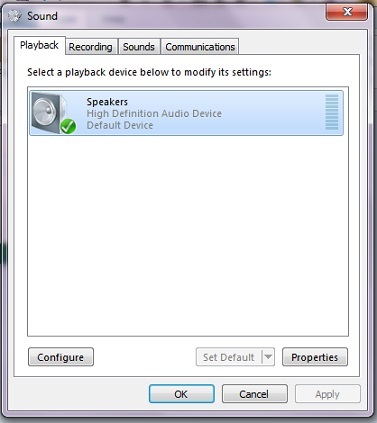 The audio was coming through my laptop and not the speaker phone we normally use. 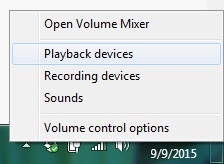 With the air conditioner blowing, and the projector fan running, none of us could here the audio from the laptop, even though it was on full volume. Brian came to the rescue and said "I can fix that" (as he often does!). 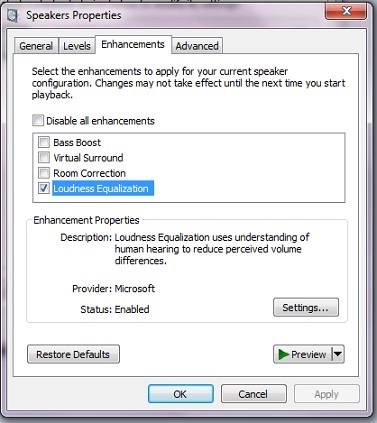 Here are a few quick steps so the audio from your laptop will fill an office conference room. Press "OK" and you're done! The result? All of us could hear comfortably! Try this next time you're using your laptop to either present or play a webinar or video in a small group.